Spring is in full swing, and summer is right around the corner. For all the homeowners out there, right now is a great time to begin thinking about some home improvement projects you can complete this season. Wait a minute though, before you go out and spend your hard earned cash on just any home improvement project lets make sure you know which one will be worth the cost! We put together a list of five home improvement projects that will generate the largest return on investment as predicted by the 2016 Cost vs Value report. “Remodeling” magazine tracks the most common projects over the years and reports; average cost of project, average cost recouped, and overall return percentage. We went through this years report for you and found the top five projects for homes in the Pacific Northwest. This is number one on our list, everyone knows that the kitchen is the most used room in the house. Why does everyone always end up in the kitchen? Not only just for eating or cooking either, kids will do their homework in the kitchen, while dad or mom use the kitchen table to finish up work. After every social gathering, you and your guests end up in the kitchen. It’s the heart of every home. Resale value aside, a remodeled kitchen will make your home more captivating to you and your family. Most people shopping for a home will spend extensive time in the kitchen to make sure it’s exactly what they want. According to Trulia the kitchen is one of the rooms that buyers will “most closely inspect (and judge) in a house”. Which is why even a slight kitchen remodel is the best thing you can do for your home. Here are a few ideas for kitchen remodeling projects you can either do yourself, or hire someone to do. Cabinets: Consider resurfacing, refinishing, or repainting your cabinet doors. This will give your kitchen a well deserved face lift. Brightening up the room, and creating a fresh feel. Average cost to refinish cabinets is just over $2,000. To have them professionally repainted about $1,000 or to do it yourself around $200. Countertops: If your kitchen currently has stone counters consider resealing them. This will guarantee that your countertops will be in tip top shape for years to come and will help prevent damage such as etching, staining, or scratching. Especially if you have marble, light granite, or light quartz counters. You can do this yourself by purchasing a refinishing kit for under $200. Consider installing new countertops as well, there is a wide selection available. For lower end affordable solutions; laminate countertops will run around $200-$300 for a 4’ by 8’ surface. For more elegance, quartz countertops will cost around $55 per square foot (material and installation). Flooring: Explore the options of refinishing your current floors. Or even installing new vinyl, hardwood, or tile floors depending on your budget. 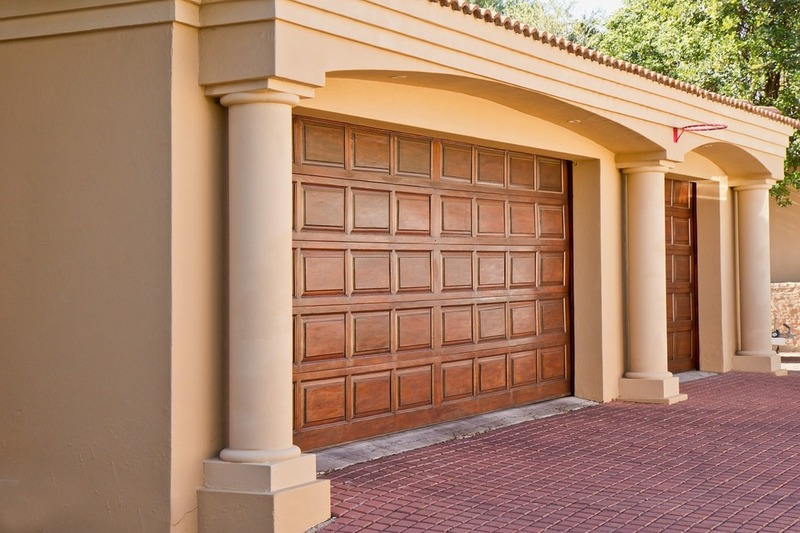 Garage doors are a quick and inexpensive way to boost home value. The average project costs $1,852 according to “Remodeling” Magazine while the average return on investment in the Pacific Northwest was 108.4%. If your goal is curbside appeal and you don't want to break the bank then look no further. There is a wide variety of options but if your garage door is in great shape than this isn’t an entirely necessary upgrade. This is the odd one in the group, a very simple and quick improvement that yields a great return. Is your current door letting in drafts? Are there cracks along the edge of your door or on the panels? Are you having difficulty opening or closing your door? As well as locking it? It might be time to replace your door. Not only is your door the first impression to your home it is also a key component to the energy efficiency of your home. Door replacement is a great way to improve energy efficiency by guaranteeing that your front door is not letting in any unnecessary drafts. This project is one that you can easily do yourself. Most doors come pre-hung on a frame, ready to mount. Just make sure you have the correct size and all the necessary materials and you can knock this project out on your own within a day or two. There are many online guides for quick step by step instructions on how to replace a door on your own. The type of door you select will effect the value significantly. Traditional doors were wooden, but recently more modern doors are fiberglass and steel. Fiberglass doors are affordable yet slightly more expensive than steel doors and will generate a return on investment of 111.8%. The typical fiberglass door can be found for less than $1,000 but some higher end ones are up to $3,000 (especially if you have double doors). Steel doors on the other hand offer greater security. They are the winners when it comes to durability, and outperform fiberglass and wood in energy efficiency. Steel doors cost significantly less than fiberglass, and many can be found for just a few hundred dollars. Although the average return on investment for steel doors according to “Remodeling” magazine is only 103.5% compared to fiberglass. This is by far the most effective home improvement project if you are planning on selling your home in the near future. Any type of stone can add perceived value to your home. Recently stone veneer accents on the exterior of the house have been the buzz. Modern trends suggest that stone is viewed very high in the eyes of a prospective buyer. Not only is stone viewed as value adding, it actually is. In the pacific northwest the average return on investment is a tremendous 118.2%, compared to only a 92.9% everywhere else in the nation. There are two types of stone veneer to choose from; screw-installed and traditional mortared. The prices vary by each design, color, and stone as well as which type you choose. The screw-installed veneer ranges from $8-$12 per square foot for material but saves a lot on installation (easier to install). While the traditional ranges from $3-$8 but installation cost is higher. Curbside appeal is a crucial aspect to your homes resale value, and this is one of the best ways you can boosts your homes appeal. If you are not planning on selling your home in the near future, this project can still be value adding to you and your family. Depending on your homes location, style, and surrounding neighborhood stone veneer can be a great addition. Stone veneer isn’t for everyone though, consult with a local provider to see if this improvement is right for you. Although this one may not be the biggest bang for your buck of an investment, we believe that this is a great home improvement project none the less. Think of it this way; if you begin working on your patio/deck today, you will have a great outdoor abode for the whole family once summer comes around. Sometimes home improvement projects aren’t just about the monetary value that they will add to your home. A summer backyard getaway is the best way to relax and enjoy the sunshine and great weather. Below are a few great ideas to spruce up your outdoor living. Furniture: This isn’t a permanent addition to your backyard but the furniture is the centerpiece of all your outdoor activities. Focus on making it comfortable, stylish, colorful, and yours. Add some sofas, chairs, a table, and decorative plants or art to make your backyard exactly like you want it. Deck addition: Maybe its time to add a deck to your backyard; depending on the type of deck you would like plan on budgeting $15-$20 per square foot. Make sure you consult with a professional to determine what type of deck will be most fitting to your needs. Patio addition: If a wooden deck is not right for you consider a concrete patio. For a 12’ by 16’ concrete patio the cost can range from under $1,000 if you plan on doing most of the work yourself to $3,000 if you would like to hire a professional contractor and excavator. Make sure you determine what your needs are and build accordingly. That’s it for our home improvement project recommendations. Remember home improvements done today are memorable moments tomorrow.